Percy Grainger’s interest in microtones—notes closer together than the semi- (or half-) tone that is standard in western “classical” music—is well known. In order to realise microtones, right through to imperceptibly “sliding” tones, Grainger was very “hands-on”. He designed and fabricated new instruments or modified existing ones that are part of the Grainger Museum’s collection here at the University. Grainger’s Butterfly piano (1952) illustrates the latter. He re-tuned and otherwise modified a very small, white “student piano”, manufactured by Wurlitzer in the late 1930s, so the notes were a sixth of a tone apart, not a half tone. Instead of a span of around 3½ octaves, his microtonally modified piano covered only a little more than one octave. After Grainger’s experiments, incidentally, the “butterfly” aspect of the piano—a patented winged lid, hinged down the middle—in itself a Wurlitzer innovation—was no longer in evidence. In the version of Zarathoustra in Rare Music, the composer’s own arrangement for four pianos (1936), Wyschnegradsky employs an ingenious solution to creating microtones that doesn’t require anything of the composer more radical than engaging an obliging piano tuner. By tuning two of the pianos at concert pitch (originally diapason normal, A = 435 HZ) and the other two a quarter tone higher, microtonal sounds can be easily realised. Within the musical texture, each concert pitch-tuned piano is paired with a differently tuned piano, enabling the microtonality to be clearly audible both melodically and harmonically. You can hear the full microtonal effect in this recording of the 3rd (slow) movement of the work. 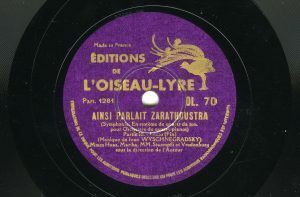 I am indebted to Peter Adamson (St Andrews, UK) for allowing me to make his digital transfer of 78 rpm Editions de l’Oiseau-Lyre disc (OL 70; ca 1938) available here. 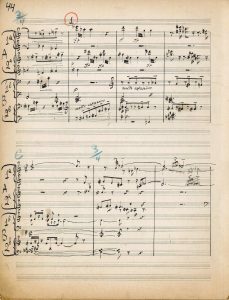 Rare Music, in the archive of Editions de l’Oiseau-Lyre (a music press established by Australian, Louise Hanson-Dyer), holds the composer’s manuscript score and two sets of parts of this work plus six scores from the hire library, reproduced from a different manuscript (1938). 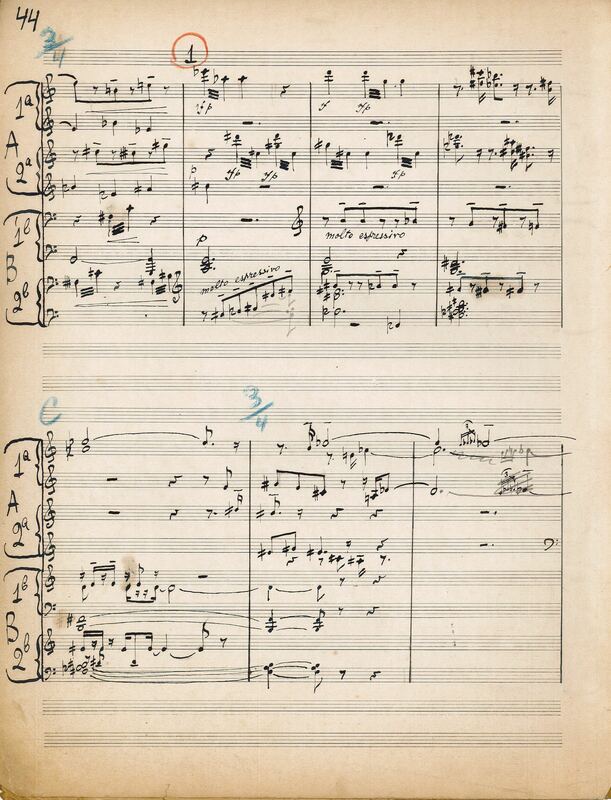 3) The two pages from the earlier manuscript score reproduced here correspond with the very start of the recording. 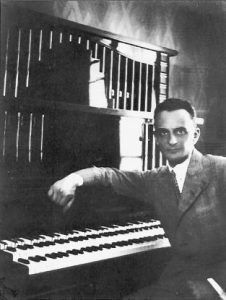 Wyschnegradsky scored the work for what he later described as a “not very practical” ensemble of quarter-tone piano (6 hands); quarter-tone harmonium (4 hands); quarter-tone clarinet; a “traditional” string ensemble; and percussion, but he could see no prospect of securing a performance. 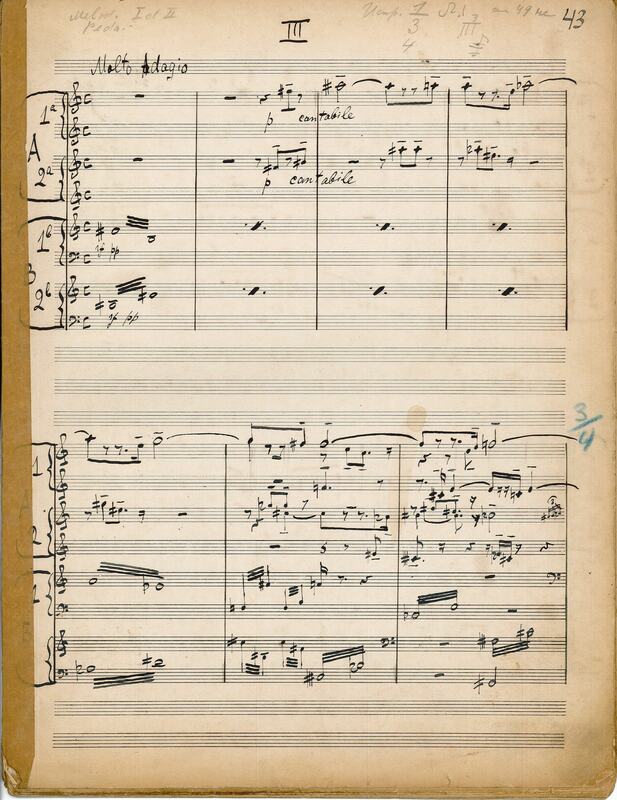 It was not until 1936 that he re-wrote it for 4 pianos, recasting the 2nd and 4th movements, and Zarathoustra was premiered in this form at the Salle Chopin-Pleyel in Paris on 25 January 1937. The four pianists who played are the same as those on the recording: Monique Haas, Ina Marika, Edward Staempfli and Max Vredenburg, under the direction of the composer. 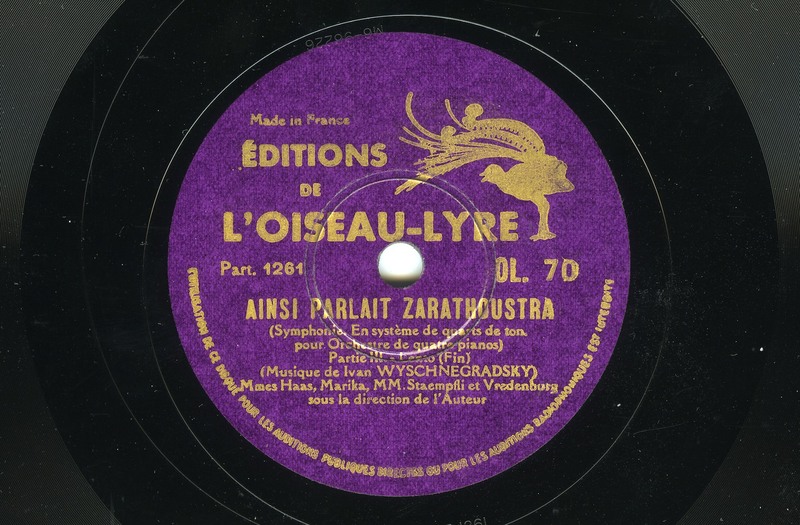 By making Zarathoustra available for hire through Editions de l’Oiseau-Lyre, and commercially as a sound recording, Louise Hanson-Dyer demonstrated her unflinching support of 20th century music, particularly in the years before World War II. 5) Rare Music is proud to house the archive of a woman who, like Ivan Wyschnegradsky and Percy Grainger, made an exceptional contribution to the music of her time. 1) There are many variant transliterations of Wyschnegradsky; this version is the one the composer used in his correspondence with Editions de l’Oiseau-Lyre. Grove music online favours Vyschnegradsky or Vischnegradsky. For more information and a wealth of images (including the one of Wyschnegradsky with his quarter tone piano in 1935, above), see the comprehensive Association Ivan Wyschnegradsky website. 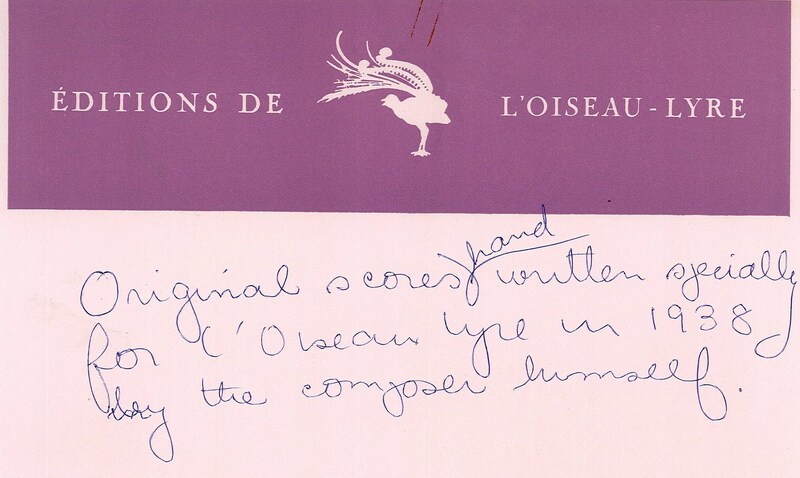 2) Much of the information here is taken from an undated typescript “Notice” by the composer (in French), housed with the scores in the Editions de l’Oiseau-Lyre archive. 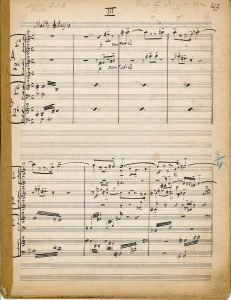 3) The manuscript score (part of EOLA MU094) is heavily annotated; intriguingly the score includes a legible part for percussion struck through with red pencil. 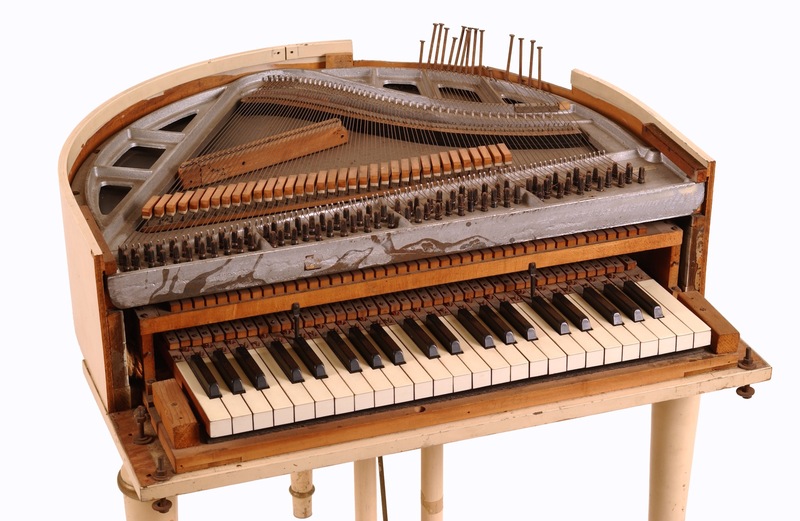 4) Wyschnegradsky’s piano was made by August Förster, a piano manufacturer in the Czech Republic. 5) For more information on Hanson-Dyer and Wyschnegradsky see Jim Davidson, Lyrebird Rising (Carlton, 1994) p. 317. 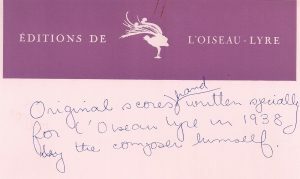 Correspondence in the archive indicates that the first formal meeting between the two was in May 1938; British composer and pianist Alan Bush had suggested to Wyschnegradsky in 1937 that he get in touch.